The practice of seed saving is taking a new twist, with seed-lending libraries springing up around the world. 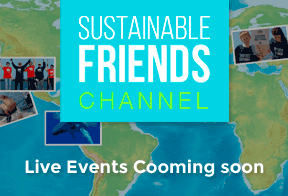 Like-minded people in communities around the world are offering low-cost or free, local, open-pollinated, pesticide-free seeds. Members borrow seeds, grow plants, and allow a plant or two to go to seed at the end of the season. Those seeds are returned to the library, which will grow 10 of each batch to confirm purity before distributing the rest. 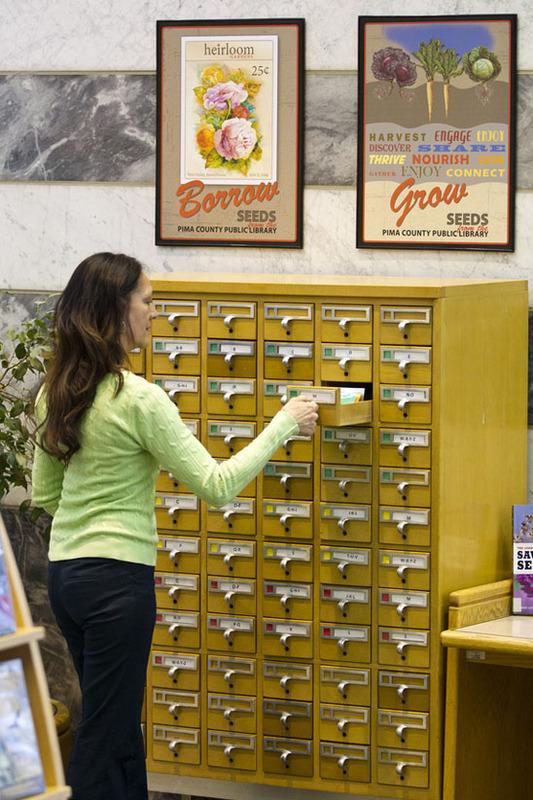 It is called The seed library – a place where community members can get seeds for free or for a nominal fee and is run for the public benefit. It is distinguished from a seed bank in that the main purpose is not to store or hold germplasm or seeds against possible destruction, but to disseminate them to the public which preserves the shared plant varieties through propagation and further sharing of seed. 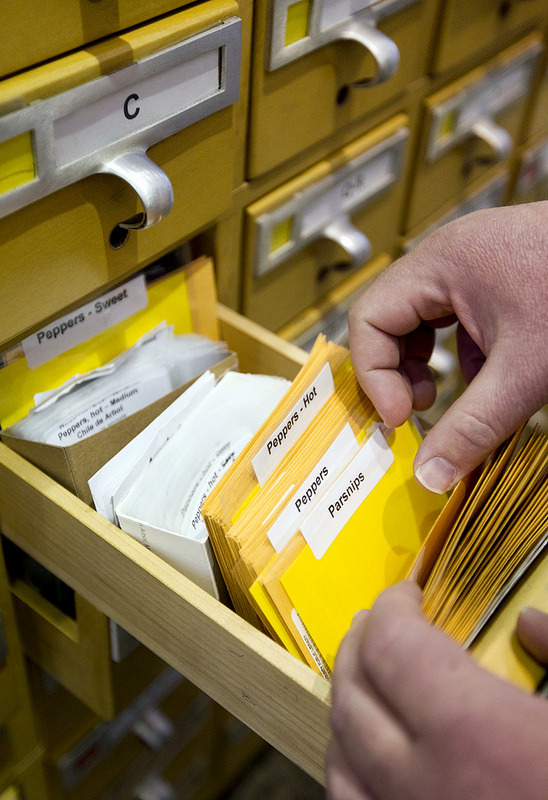 Seed libraries usually maintain their collections through donations from members but may also operate as pure charity operations intent on serving gardeners and farmers. A common attribute of many seed libraries is to preserve agricultural biodiversity by focusing on rare, local, and heirloom seed varieties. 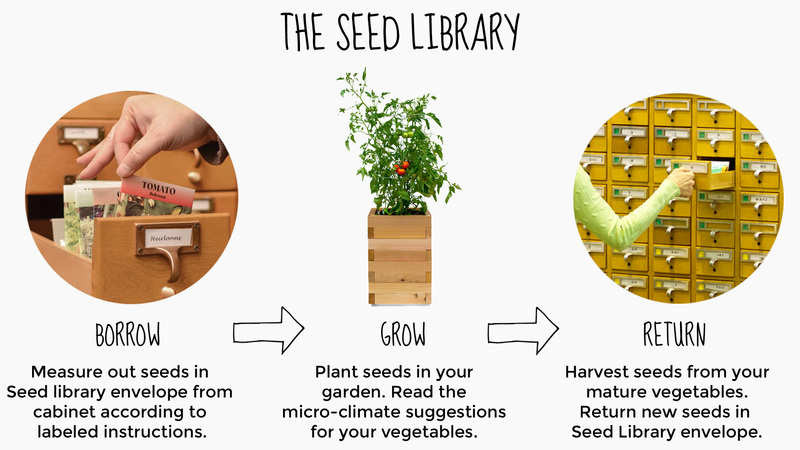 There are now over 500 seed lending libraries open worldwide and the process is very easy. You pick out three seed packets at a time, things like beans, fruits, herbs, check them out like you are getting a book and then get to planting. Some libraries even offer classes for anyone who needs help getting started.